I discovered Antti Paranko through the luthier Juha Ruokangas, also from Finland. In fact Antti is endorsed by Juha and has worked with him to compose some music specifically for his brand. After hearing this music (which you can hear at the beginning of every Luthier Chronicle with Juha) I decided I wanted to hear more. 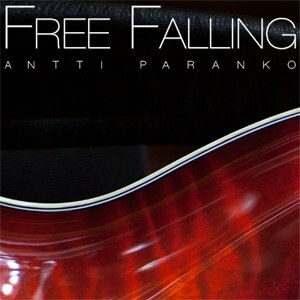 So I contacted Antti to get his latest album Free Falling and we did an audio interview shortly afterward. Enjoy this new Discovery Interview! Until the next episode of the podcast, keep on playing the guitar!